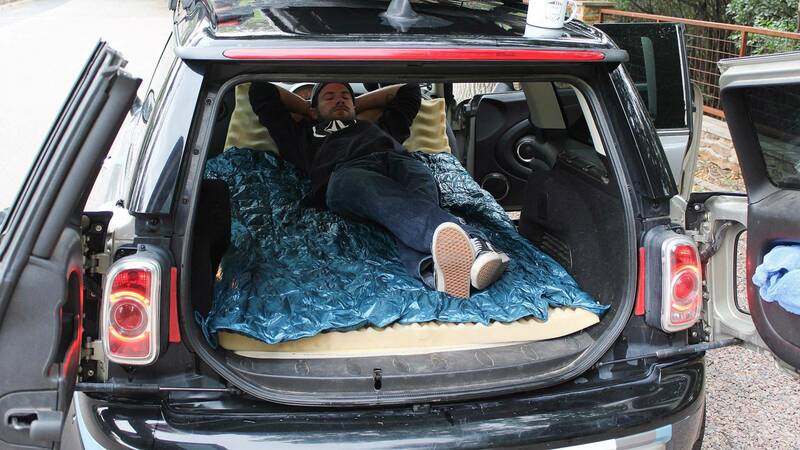 There's a bed with room for two inside this Mini, so leave the tent at home. Brycen McCright has probably the only Mini Clubman camper that you're ever going to see, and it's a seriously cool rig. This isn't just a show car, either. McCright and his girlfriend regularly take this little wagon into Colorado's wilderness on camping trips. Seeing a custom, Mini-based camper immediately raises the question about why this is McCright's choice as a starting point. The answer, like for many of these questions, is that this is simply the car he has available. McCright bought the Mini, but then got seriously into camping. Unfortunately, the little wagon didn't have the off-road ability to go very far off the pavement. "I was going to sell the Mini and immediately purchase some type of 4x4; as I should have done months before. 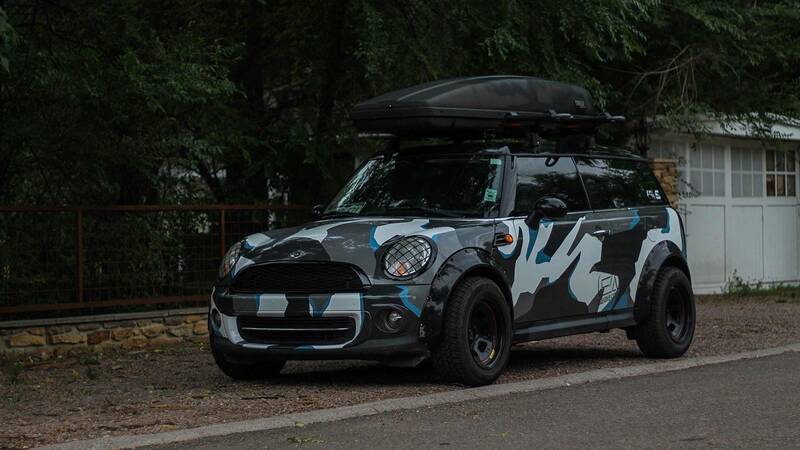 Well, it turns out that nobody wanted a base Mini Cooper in Colorado. Since buying another vehicle was not an option at this point, I had to improvise," McCright told Motor1.com. Thankfully, he works as a graphic designer at Elite Auto Salon, a company that specializes in vehicle tuning and customization. McCright started mulling the project with the shop's two master fabricators, and what he has dubbed the Mini Prowler was born. The first move was to boost the Clubman's ground clearance by fitting a two-inch suspension lift. Changing out the wheels and tires added an additional two inches. "Because we could now take minor jeep roads and mountain passes, our tent was always just next to the Mini Prowler," McCright said. 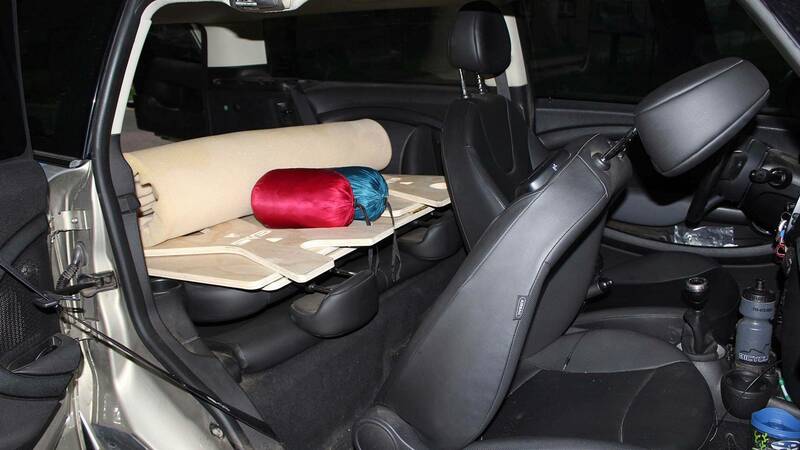 Next, the Prowler got a major interior upgrade – a bed. It's large enough to fit McCright and his girlfriend, so now they can drive to a campsite and simply sleep in the back. There's no need to pack a tent. With the interior now occupied, McCright has quite an array of racks and mounts on the roof that let him carry "two paddle boards or one kayak, a mountain bike, and 5 nights worth of camping gear all at once." After all of this work, McCright has an unusal camping rig that's perfect for his needs. "It is always an ongoing project, but the production of it has slowed due to life happening; and that is ok. I love her," he told Motor1.com. We can easily understand why this little machine would inspire so much admiration.